Rabbis Greengrass and Kempler are back with their weekly book club! 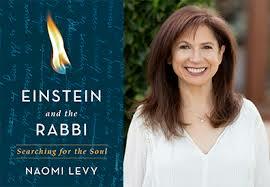 Join us Mondays starting August 13th as we read and discuss Einstein and the Rabbi: Searching for the Soul by Naomi Levy. Questions and RSVPs to Janice Baisman, jbaisman@tbam.org.